For the last several years Impact has been in prayerful discussion about two important challenges facing us as we move forward and expand our mission—our need for a larger facility and the fact that many of the people we want to serve no longer live near our location. A wonderful opportunity came in the former home of the Lindale Church of Christ, which is close to many of the families we’re already helping as well as many others that need our help. Now Impact is expanding its vision through the acquisition of the property, and we need your help and support to bring this new vision to reality! 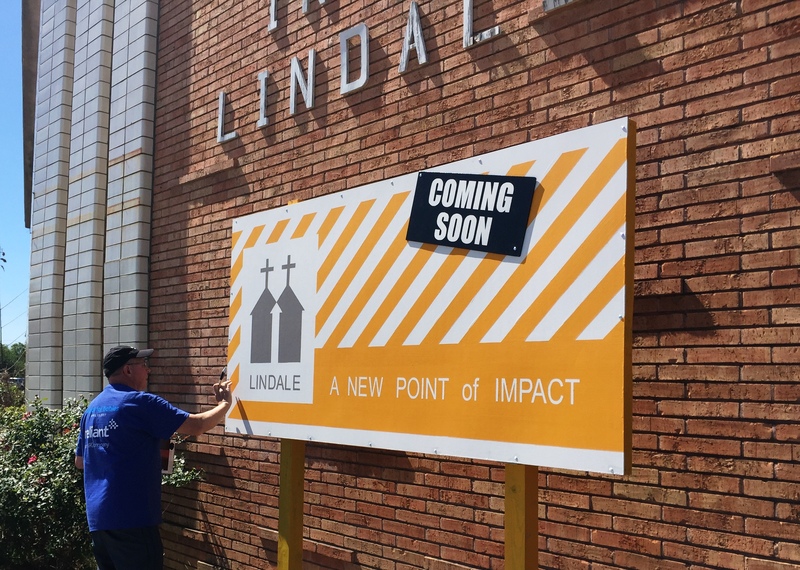 We were blessed to be able to purchase it without incurring any debt, but the two buildings on the property are badly in need of repair and we need your help to make the buildings safe and usable and begin reaching out in the Lindale neighborhood. We hope that you will consider joining the Lindale Campaign by making a donation today or a pledge of up to three years. To get involved go to lindalecampaign.org or send a check with ‘Lindale’ in the memo line. For questions call the Impact office at 713-864-5667. May God bless this exciting new effort!